These Jelly Fish are the right way up! Like boobies, Jellyfish come in all shapes and sizes and indeed, colours. But what do they eat? How to they catch their food and do they eat with ketchup? Or who eats them? 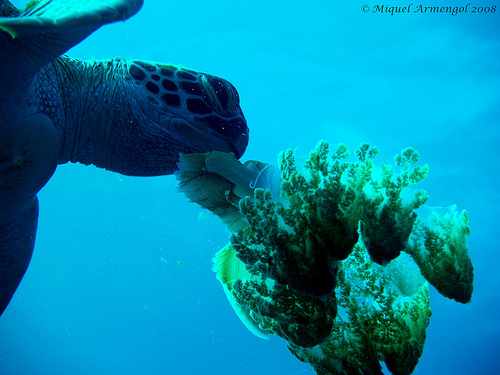 What creatures find jelly fish tasty? First up, what are Jelly Fish? Are they actually fish? The internet reveals all: Jellyfish (also known as jellies or sea jellies or medusozoa) are free-swimming members of the phylum Cnidaria. Jellyfish have several different morphologies that represent several different cnidarian classes. 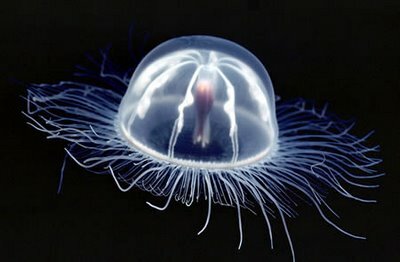 Medusa is another word for jellyfish, and as such is used to refer specifically to the adult stage of the life cycle. Really? I thought Medusa was a lady with snakes in her head.... but I digress, what have we appeared to have learned here children? Jelly Fish are not actually fish. Fish are fish. Fish are also friends, not food. 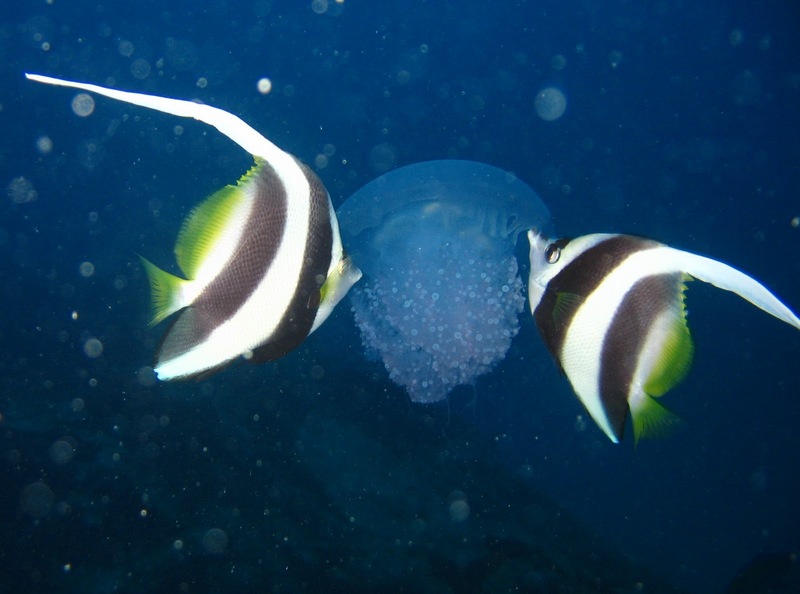 Okay, I told a lie, Jellyfish eat fish. Indeed, when ordering pizza, they order extra anchovies. Jellyfish are actually carnivorous. They eat a healthy diet of zooplankton, smaller fish and sometimes other jellyfish. 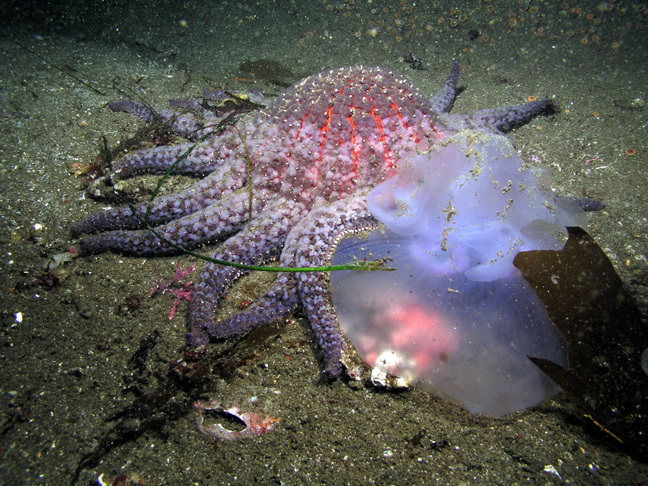 Bigger jellies eat large crustaceans like shrimp. This guy is simply here because he looks cool! I may have written above that fish are friends and not food, we know that's not necessarily true - the same does not apply to Jelly Fish. 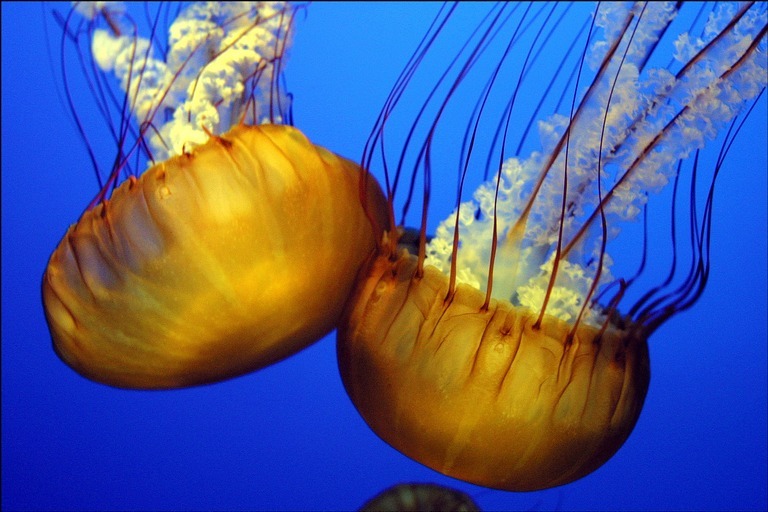 Many sea creatures find jellies and the members of the Medusa family to be tasty treats. Like jelly is.